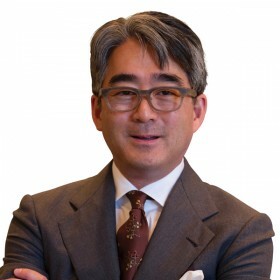 A spokesperson said, “The broader measure of the ILS market is roughly $80B currently, Dr. John Seo, co-Founder and Managing Director of Fermat Capital Management, LLC will share his views on how the ILS market can grow to be a $300B market. “John has over 26 years of fixed income, FX options, and interest-rate-derivatives structuring and trading experience. “Prior to forming Fermat Capital with his brother Nelson in 2001, John was head insurance-risk trader at Lehman Brothers, an officer of Lehman Re Limited and a state-appointed advisor to the Florida Hurricane Catastrophe Fund. “John’s work in catastrophe bonds was featured in a Michael Lewis’ cover article for the New York Times Magazine [‘In Nature's Casino’, 26 Aug 2007]. Greg Wojciechowski, CEO, Bermuda Stock Exchange, and ILS Bermuda Chairman, said: “On behalf of ILS Bermuda, I am very pleased to announce that Dr. Seo will give this year’s industry keynote address. He is a well-known leader in the ILS arena and his views are always welcomed by our industry. “More than 300 delegates are expected to attend this year’s event to be held at the Hamilton Princess Hotel on October 3rd-4th. Last year delegates from 13 different countries attended the annual Bermuda Convergence event – a networking event covering the alternative reinsurance, insurance linked securities [ILS] and collateralised reinsurance landscape. So having worked at the bank which sparked the global financial crisis is a good thing?